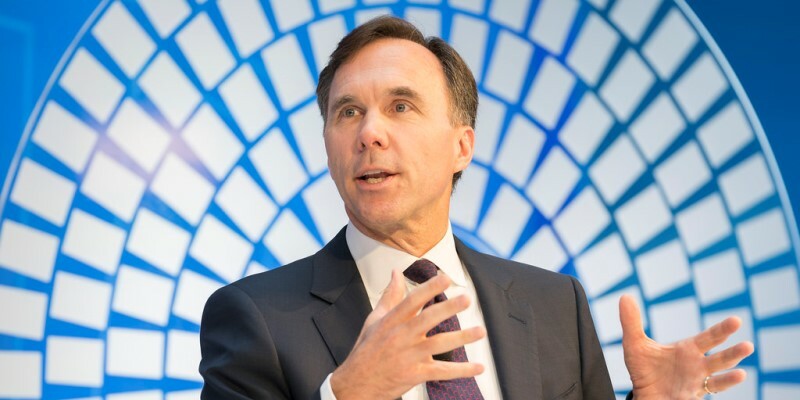 In a recent interview, federal Finance Minister Bill Morneau (pictured above) tried to assure Canadians that the federal government has the financial “capacity” to handle a recession. Polling continues to show that Canadians are concerned—and increasingly so—about federal finances and more specifically deficits. The minister’s glib response to concerns about the worrying state of federal finances is disconcerting and reveals a lack of historical understanding. The federal government’s latest report showed last year’s deficit at $19 billion, despite continued economic growth and low unemployment. The current budget has no plan to return to balance and projects a deficit this year of roughly $15 billion. In fact, the most recent long-term estimate indicates the government won’t achieve a balanced budget until 2045. Morneau seems unaware of the risks of running deficits during periods of economic growth. Specifically, running deficits outside of recessions (or pronounced slowdowns) risks a permanent imbalance between spending and revenues, like what happened in Canada throughout the 1970s, ’80s and early ’90s. Simply put, it didn’t matter if the economy was growing, slowing or in recession. Ottawa could not balance its budget. The accumulation of debt during this period led to the fiscal crisis of the early 1990s when the deficit and debt were out of control. At one point, the federal government was spending almost 40 cents of every dollar solely on interest costs. To get a handle on federal finances, the Chretien government implemented large-scale reforms, including reducing program spending by nearly 10 per cent over two years. Despite Morneau’s latest assurances, Canada may be at the frontend of another downward 1970s-1990s deficit cycle, which starts with deficit spending during a period of economic growth (like we’ve seen with the current government). The government then relies on continual economic growth to try to balance the budget. Then, when the inevitable recession arrives, federal finances are thrown back into deficit, sometimes deep deficits. Debt accumulates throughout with mounting interest costs and federal finances predictably spiral out of control. In our recent history, a recession—or at minimum, an economic slowdown—has occurred roughly every eight years. Given that the last recession took place a decade ago in 2008-09, Canada is due for another slowdown. Economic slowdowns or recessions automatically increase the deficit. As the economy slows, government revenues decline while certain types of spending increase. For instance, in the last recession, spending on employment insurance increased from $14.1 billion in 2006-07 to $21.6 billion in 2009-10. In addition to these “automatic stabilizers,” governments often also introduce discretionary stimulus spending and/or tax cuts that further exacerbate the deficit. A recent paper examined what could happen to the federal deficit if the conditions of past economic slowdowns or recessions were repeated. Take the economic slowdown of 2000-01, for instance. If the circumstances of that period repeat next year, revenues will decline by $27.5 billion while spending will increase by $6.7 billion, resulting in a deficit of $48.7 billion. The numbers are significantly worse if a more serious recession like 2008-09 occurs. Canadians are right to be concerned about deficits. Minister Morneau’s dismissive assurances notwithstanding, the federal government should take immediate action to place federal finances back on a path towards balance and sustainability.